Successfully Added 100 LED Solar Powered Fairy Lights - Red, Green + Blue LED Lights, Solar Charger, 1500mAh Battery to your Shopping Cart. This set of 100 LED fairy lights lets you bring a touch of color to any festivities. Use them to deck you house with seasonal color or add a hint of magic to any party. The LEDs look great on the patio or wrapped around a tree, letting you create some mood lighting and add a twinkle of light to any outdoor or indoor area. The lights are strung along 10 meters of wire with an interval of 10 cm between each LED, this in turn is attached by a further 2 meters of cable to the powerful mini solare panel that can be placed in a suitable position to catch the Sun’s rays. 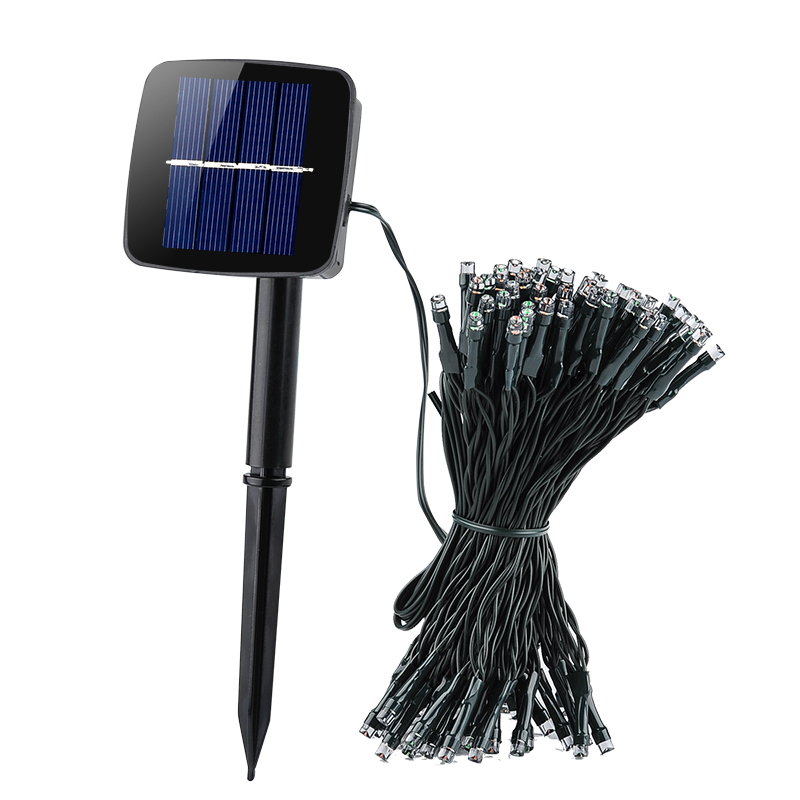 The 2V 150mA solar panel captures sufficient energy to recharge a built in battery over around 8 to 10 hours. This in turn will then power your decorative lights for up to 8 hours and give a decorative flare to your home, garden of office. Quick and easy to setup with no extension leads or outdoor wiring required this decorative light set has two lighting modes so you can select between blinking or continues lighting. Just be sure to place the solar charger in an area that's well lit by sun light and enjoy the savings from this economically smart party light that won’t add a thing to your electric bill. These LED fairy lights come with a 12 months warranty. Brought to you by the leader in electronic devices as well as wholesale LED lights, Chinavasion..